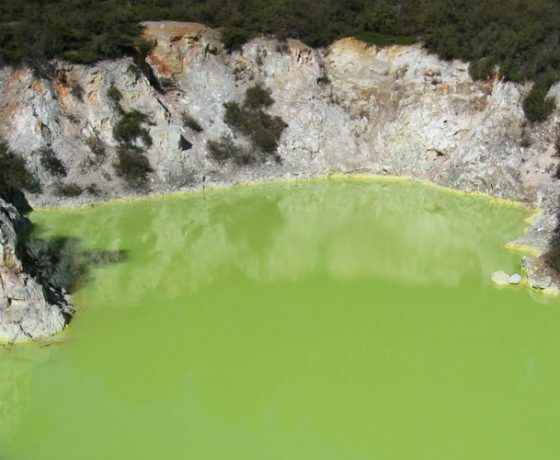 Looking for things to do in Rotorua? 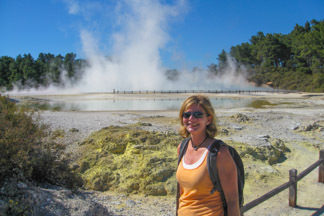 Rotorua’s Elite Adventures are an award winning, fully licensed tour guiding service based out of Rotorua. Our company has been operating now for over ten years and our local guides have many years of experience guiding international visitors around our unique environment. 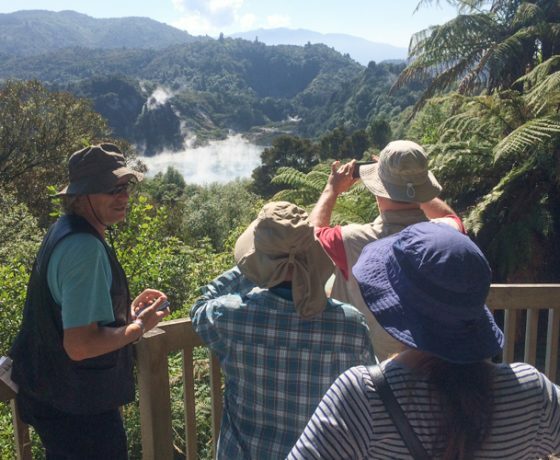 We will ensure a safe, comfortable and informative insight of New Zealand’s ecology and culture, catering to small group tours with no more than 15 people. A medium level of fitness required. 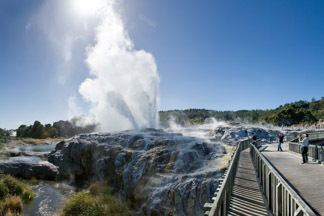 Rotorua is unlike any place in the world, with unique Maori culture, amazing wildlife, native forest, breathtaking lakes and rivers, prehistoric volcanoes (dormant and active), and powerful geothermal systems which includes geysers and boiling mud pools. 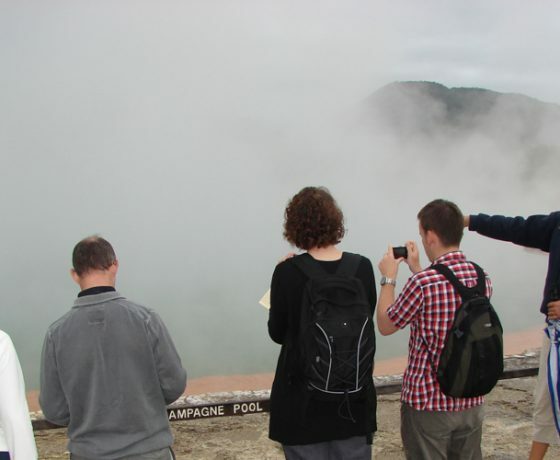 See it all with Elite Adventures guided tours, the ultimate volcanic and geothermal Rotorua Tour. 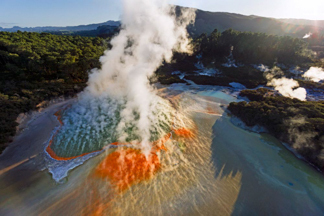 Learn about our huge colourful hot springs, erupting geysers and active boiling mud pools, spectacular volcanoes and lush native forest. 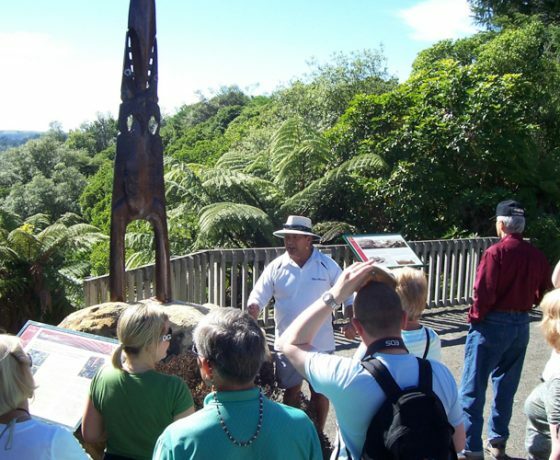 All on a fully guided 1/2 day or full day tours of Rotorua that are Interactive, educational and fun! Our tours visit all the major attractions like Wai O Tapu Thermal Wonderland, Waimangu Volcanic Valley, the Buried Village, Te Puia and more. Alternatively, choose a personalised tour with an itinerary designed to fulfil your interests. 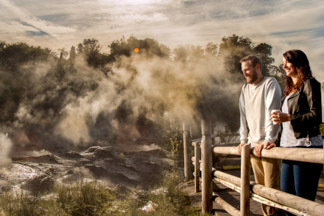 Spend the afternoon experiencing Rotorua’s Maori culture and geothermal activity and see how they are intricately entwined. 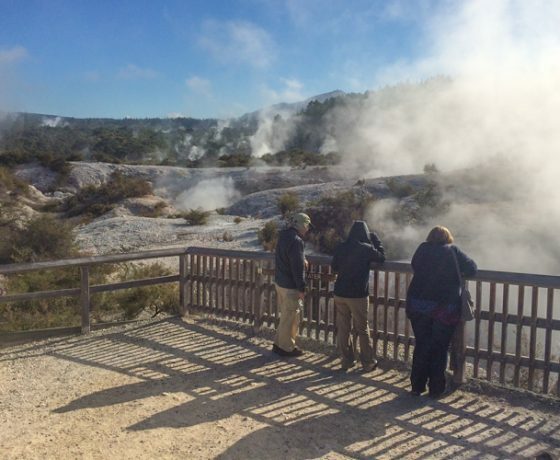 First a guided tour through Te Puia, Rotorua’s premier cultural attraction. 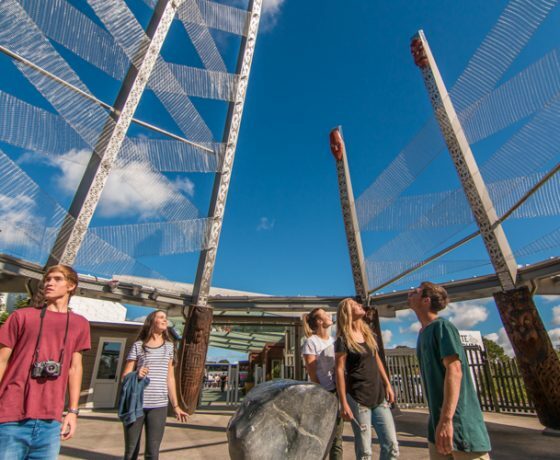 This includes a visit to the wood carving school, art and craft gallery, Rotowhio Marae, weaving display, kiwi house and finally the Pohutu geyser. 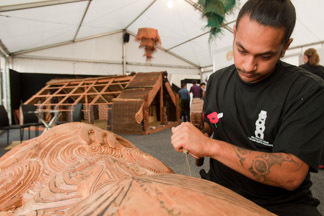 Next we visit the Lakefront area to see the Maori War Canoe and learn more about Maori history and customs. A short visit to Kuirau Park to view a recent geothermal eruption site. Then finishing the day visiting the pristine and tranquil lakes of our amazing volcanic region, including views of Mount Tarawera with explanation of volcanic and Maori history. Lake Tarawera – Lake Okareka. 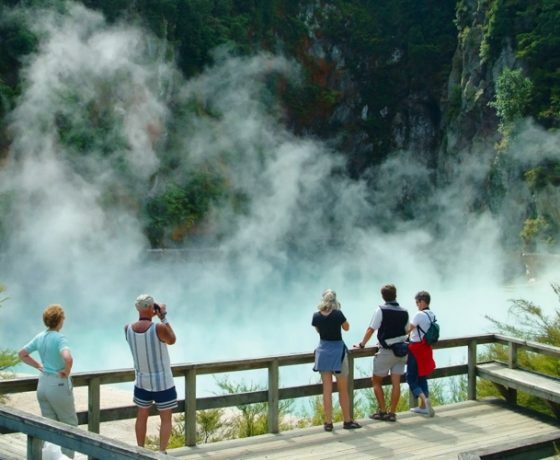 Visit Rotorua’s most natural and popular geothermal parks. Fully guided by expert local naturalist. The tour departs daily 8:00-8:30am and returns 12:30-1:00pm. 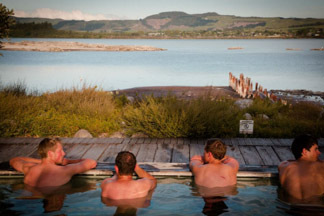 Pick up from accommodation then drive through forestry and farmland to NZ’s largest boiling mud pools. 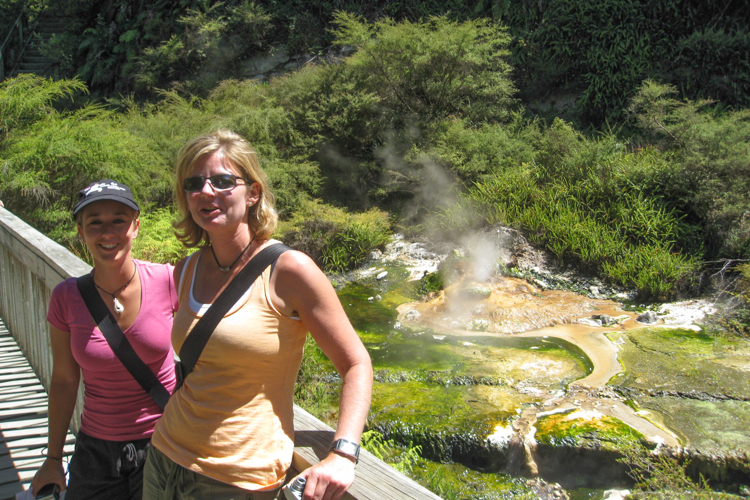 Then our local guide will take you through a series of colourful hot springs and amazing volcanic features at Wai-o-tapu. Then see the Lady Knox geyser eruption at 10.15am. 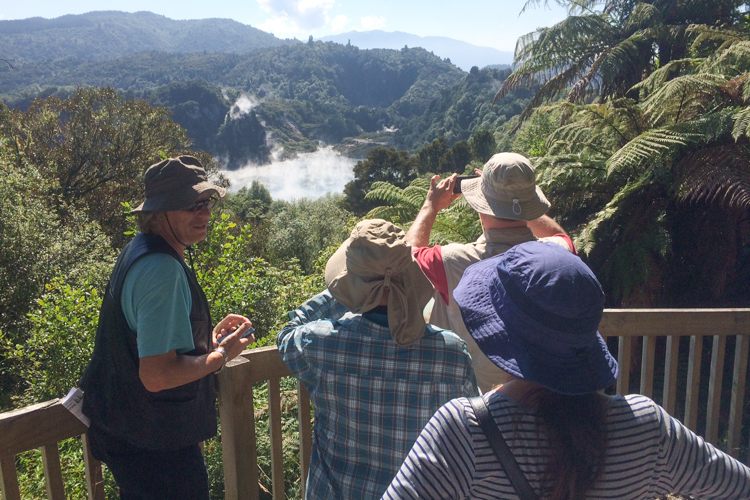 Next a short drive to the Waimangu Volcanic valley where your guide will explain the Mt Tarawera eruption which blew open this spectacular, bush covered, geothermal park. 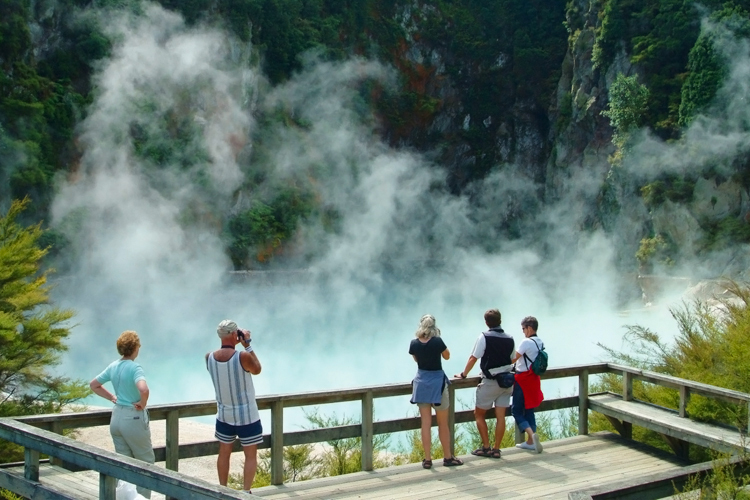 This tour visits Rotorua’s most natural and popular geothermal parks. 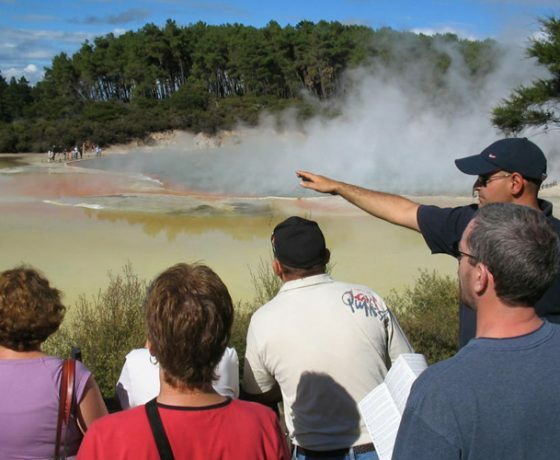 Our local naturalist guide will explain the volcanic processes of Rotorua and New Zealand. 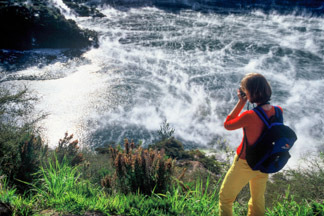 Your clients will see volcanoes, geysers, New Zealand’s largest boiling mud pool, and hot springs on a scenic drive around volcanic landscapes of farmland, native and exotic forests. 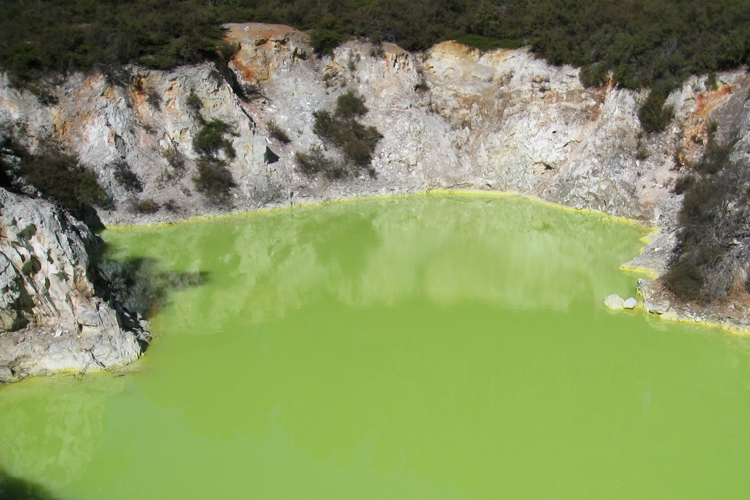 The two heritage parks offer a variety of thermal activity; at Wai-o-tapu the amazingly colourful hot springs and moonlike landscapes are the key features along with the famous Lady Know geyser. At Waimangu Volcanic valley the guide will explain the Mt Tarawera eruption, native flora and fauna and the geothermal features which were blown open in 1886. 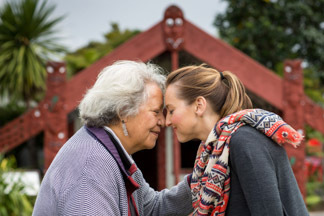 See where local Maori live now today in the thermal village of Whakarewarewa after being displaced by the Tarawera eruption of 1886. 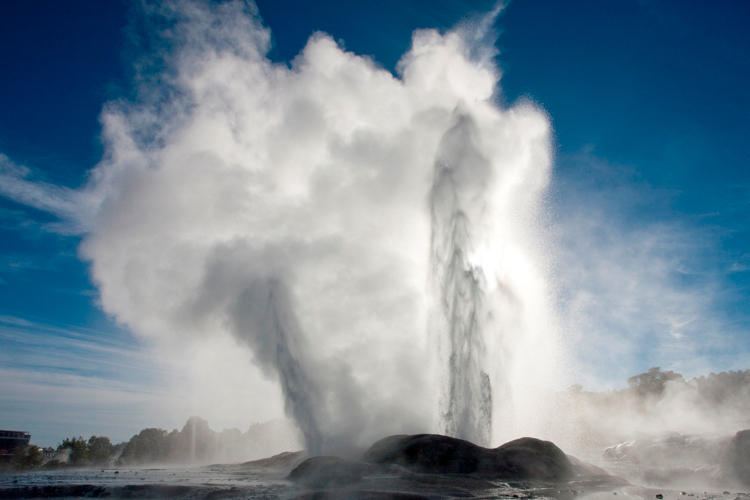 You can watch/purchase food cooked in the thermal waters and see the Pohutu geyser erupt. 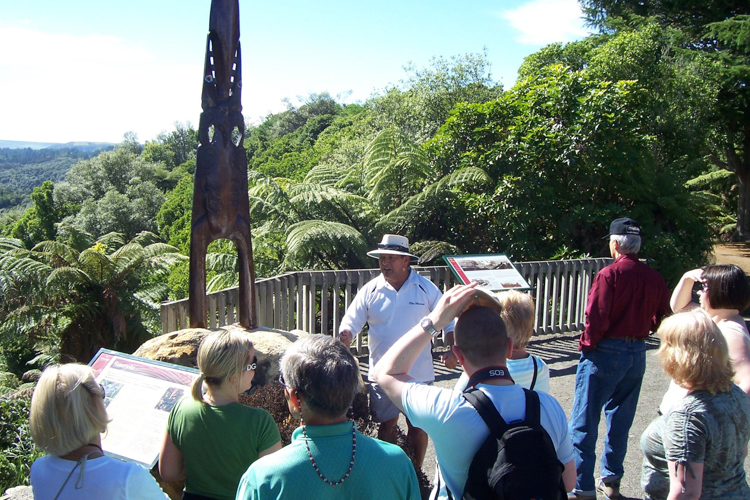 Boiling mud and thermal springs are on the guided walk through the living arts and crafts Maori village. 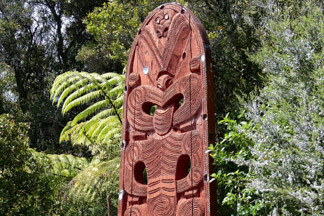 Then take a scenic drive to the Blue and Green Lakes lookout and visit the Buried Village which is the former tribal lands of the Tuhourangi people. 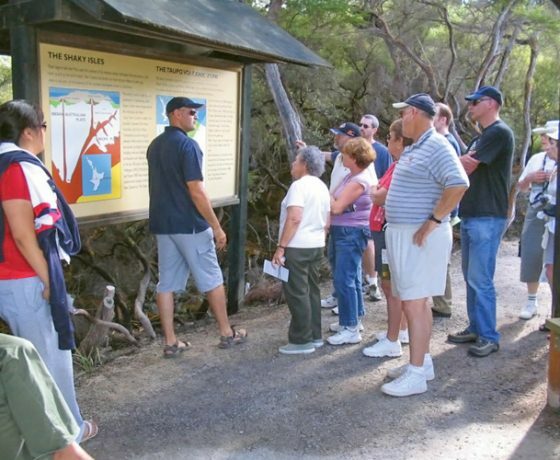 Here visitors can enjoy a guided walk through excavations/museum of the Buried Village and learn the stories of the how the eruption affected the land and the peoples of this time. 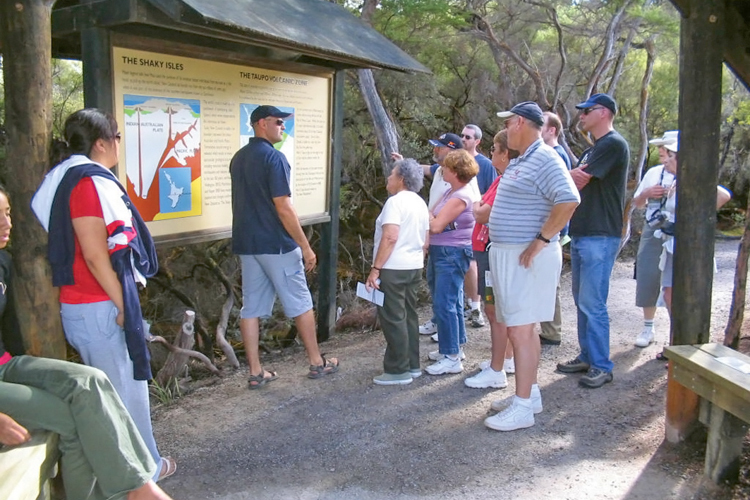 The tour includes a beautiful native bush walk to a waterfall and Lake Tarawera lookouts. 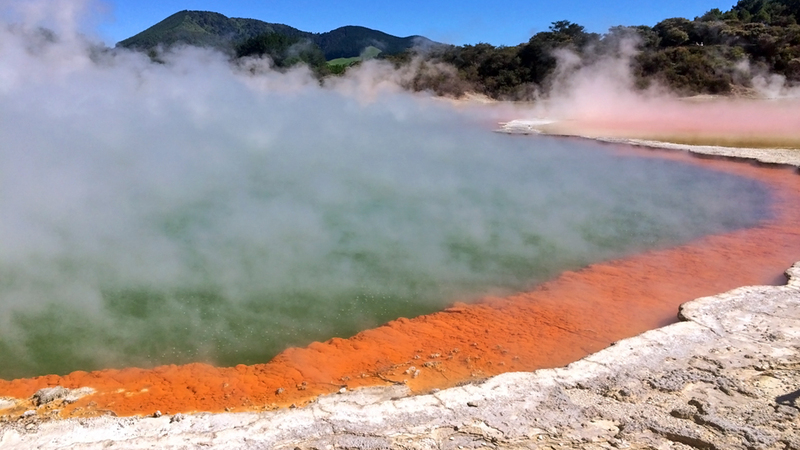 Pick up from accommodation then drive through forestry and farmland to NZ’s largest boiling mud pool and a series of colourful hot springs at Wai-o-tapu. 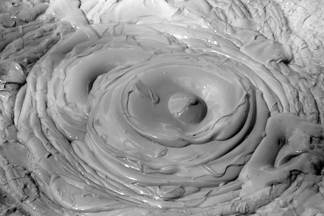 Then see the Lady Knox geyser erupt. 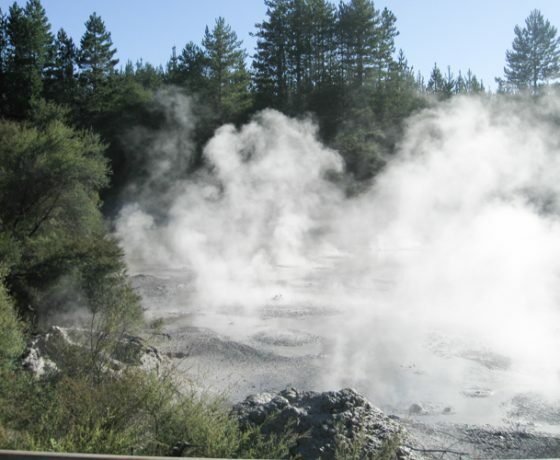 Next a short drive to the Waimangu Volcanic valley where your guide will explain the Mt Tarawera eruption which blew open this spectacular, bush covered, geothermal park, winner of NZ Eco Tourism Award 2001. Your own personal local guide / driver for a half or full day tour. Pick up is available from Rotorua, Taupo, Tauranga Port & Auckland Airport. 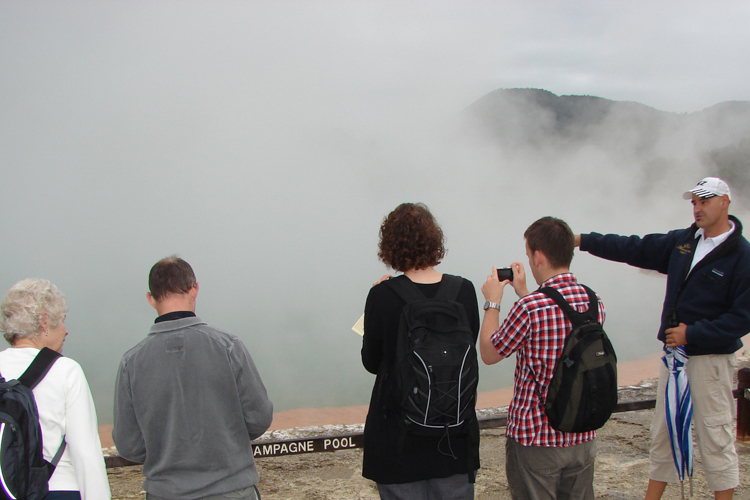 Below is just an example of what you can do on an Exclusive & Private Tour in Rotorua. On to the punctual Geyser, Lady Knox. 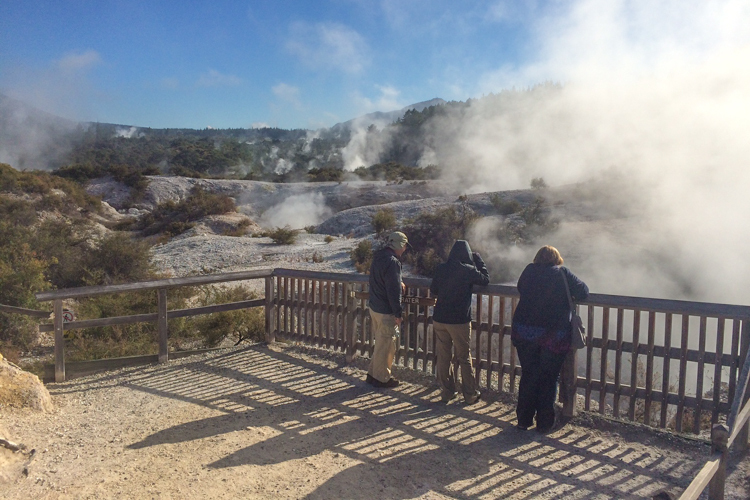 View and learn about geysers in New Zealand. 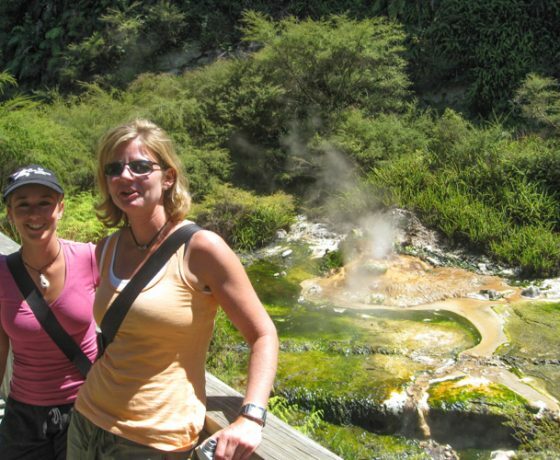 Now choose either a walk through Waimangu Volcanic Valley, a scenic geothermal valley containing New Zealand’s largest hot spring and spectacular native bush. 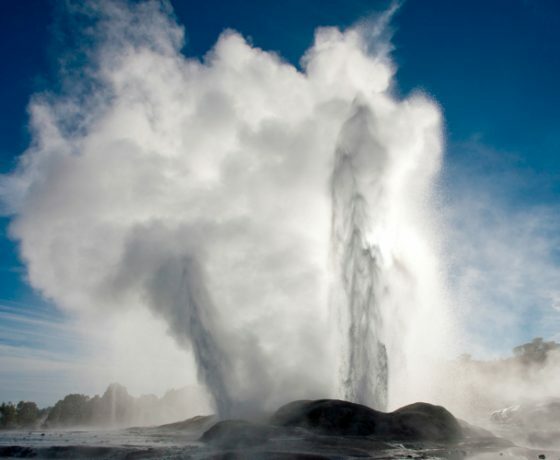 Or perhaps a scenic helicopter or float plane flight around the lakes and geothermal area. Next we visit one of New Zealand’s most popular wildlife sanctuaries, Rainbow Springs. 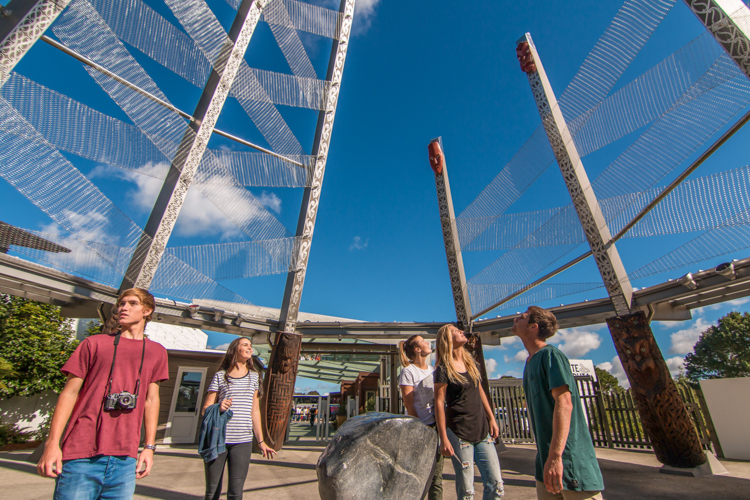 See Kiwi birds, as well as many other of our endangered birds, Rainbow trout and the Tuatara. A showcase of New Zealand flora and fauna, all explained to you by your own exclusive guide. 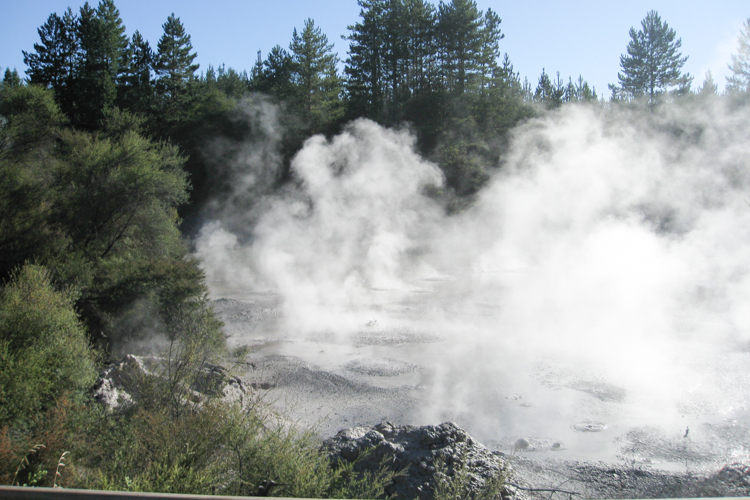 We then drive around the Rotorua Lakefront, seeing it’s historical sites and geothermal activity. Finish the day with a soothing soak in the natural hot springs of the Polynesian Spa. 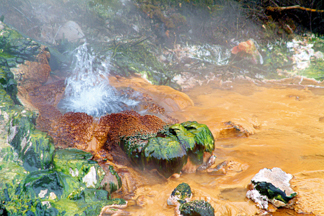 Bathe in the natural mineral spas with varying temperatures. Cosmetic and massage treatments are also available. 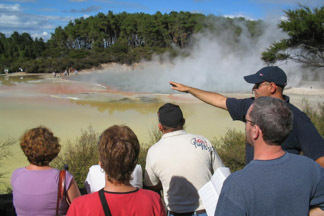 We offer tours through many of Rotorua’s attractions that do not offer guided tours. Our guides are locals and are fun, friendly and informative! We keep our tour groups small and personalised.